Brittany Lynn and Miss Aurora take Pride Month by storm with bright, uplifting stories and fun. In all our years of coming to the Please Touch Museum, a storytime had never required tickets. Even meeting Daniel Tiger, the king of the preschool entertainment jungle, was simply a line-up-and-wait affair. But this was different. This was Drag Queen Storytime. We first encountered Drag Queen Storytime when the wonderful Brittany Lynn and Miss Aurora made their debut at Lume Creative Learning Studios last summer. 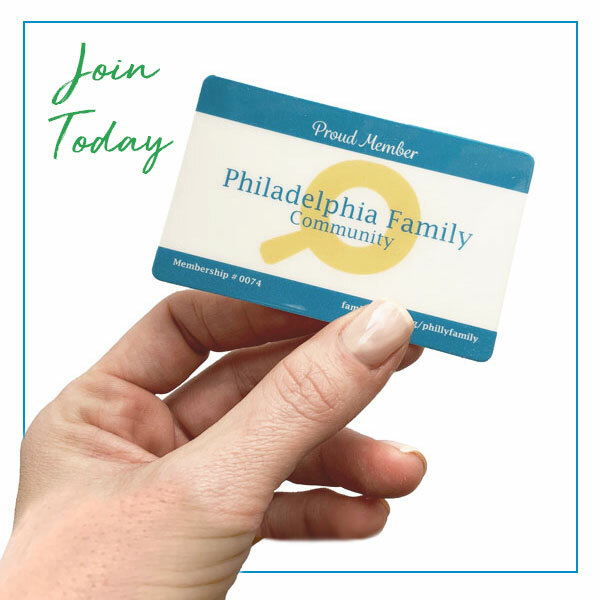 From then on, we went to events every chance we got—they’d show up at libraries around town, return to Lume, and most recently visit Music Theatre Philly—to enjoy their charming take on uplifting stories with themes like embracing who you are, standing up to bullies, and more. S o we were thrilled to learn that Drag Queen Storytime would be holding court at the Please Touch Museum for their Pride Family Festival this past weekend, with storytimes in the museum’s theater throughout the day. We were even happier to see how much their audience and popularity has grown in just one year, as the museum announced in advance of the event that attendees would have to reserve their spots upon arrival. We entered the theater and were greeted by Brittany Lynn and Miss Aurora on stage, with a giant trunk of dress-up clothes for the kids, filled with everything from princess dresses to firefighter coats. The kids excitedly dug through the costumes, with a little guidance from the stars to make their selections and get dressed. Kids were welcome to keep their new costumes on during the storytime, so a theater full of bedazzled toddlers shook their sillies out and settled in for some stories. The first selection, Red: A Crayon’s Story, was an adorable tale about a mislabeled crayon who finds the courage and support to be true to his inner self. “It really doesn’t matter what you’re labeled, it’s who you are,” explained Brittany Lynn. The final story, The Pout-Pout Fish, and the Bully-Bully Shark, was the latest book in Deborah Diesen’s popular series, this time finding the title character struggling to stand up to an undersea bully. As Miss Aurora read the passage “Yes, I’m just one fish, but my voice is strong,” the audience cheered. As always, while Brittany Lynn and Miss Aurora read the stories, they interjected tongue-in-cheek commentary that made both kids and parents alike laugh. And after the stories were done, they graciously held a meet-and-greet with all the kids. If you missed out on Drag Queen Storytime at Please Touch Museum, don’t despair, because there will be more storytimes all though Pride Month at the Free Library of Philadelphia. You can also follow them on Facebook to learn of more events around town.